All this will be ours on July 4. 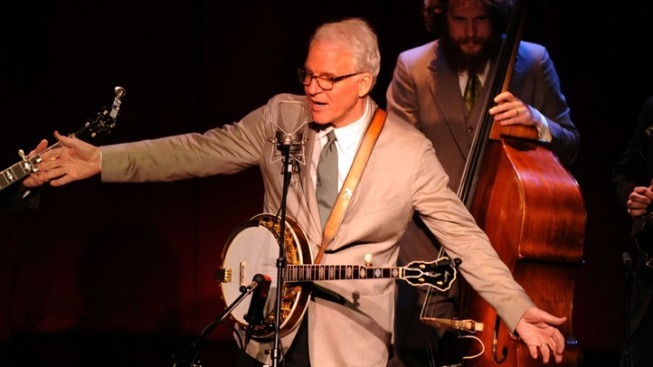 Steve Martin will be joining the performers on Capitol Hill this Fourth of July. He won't be telling jokes, though. The funnyman plays the banjo -- evidence here! -- and will be performing a song he wrote with his band, The Steep Canyon Rangers. "Me and Paul Revere" tells the story of the famous ride... from the horse's perspective. Martin says his participation in A Capitol Fourth inspired him to write the song. He'll join Josh Groban, Little Richard, "Glee" star Matthew Morrison, "American Idol" winner Jordin Sparks and Broadway star Kelli O'Hara. Jimmy Smits will host the annual concert.